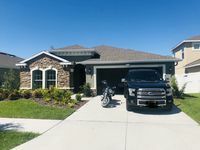 Properties in Gibsonton average 4.6 out of 5 stars. Waterfront Gibsonton House w/Grill & Private Dock! Property 1: Waterfront Gibsonton House w/Grill & Private Dock! Property 5: Poolside vacation condo!!! Tropical Waterfront Florida Pool Home With Dock-Bring your boat!!! 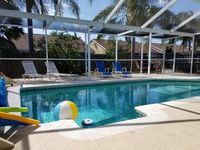 Property 6: Tropical Waterfront Florida Pool Home With Dock-Bring your boat!!! Tropical Apollo Beach House w/Private Pool & Dock! Property 12: Tropical Apollo Beach House w/Private Pool & Dock! Come enjoy River and Downtown Views in the heart of Tampa! Property 19: Come enjoy River and Downtown Views in the heart of Tampa! DAVIS ISLAND STUDIO- Fantastic Location!!! Property 24: DAVIS ISLAND STUDIO- Fantastic Location!!! NEW 3BR Apollo Beach House w/ Pool and 8 personJacuzzi! Property 28: NEW 3BR Apollo Beach House w/ Pool and 8 personJacuzzi! Fish right from your own dock in this beautiful 2 story townhouse! Property 33: Fish right from your own dock in this beautiful 2 story townhouse! NEW! Spacious Tampa Condo - 20 Minutes to Beach! Property 41: NEW! Spacious Tampa Condo - 20 Minutes to Beach! Updated House - 2 Minutes to Downtown Tampa! Property 43: Updated House - 2 Minutes to Downtown Tampa! Serene View! 2 BR 2 BA Condo Tampa Area , Beaches! 24/7 Check-In! Book Now! Property 44: Serene View! 2 BR 2 BA Condo Tampa Area , Beaches! 24/7 Check-In! Book Now! NEW!! The Flamingo - Waterfront Home with heated pool, hot tub and kayaks! Property 47: NEW!! The Flamingo - Waterfront Home with heated pool, hot tub and kayaks! Great house and great hosts! Great accommodations and great hosts for a long stay while on business. Would recommend to anyone looking for somewhere to stay in the area!